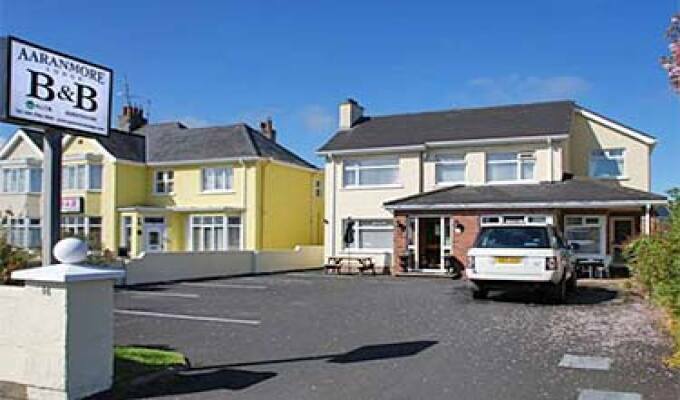 Aaranmore Lodge B&B is in a prime location for visitors to Northern Ireland's North Coast, with quick and easy access to all major attractions & walking distance to the amenities of the town, pubs, restaurants and beaches. Royal Portrush Golf Club is only minutes away and half a dozen other excellent golf courses can be found nearby. Aaranmore offers comfortable overnight accommodation and breakfast to its long established international clientele in well appointed spacious ensuite bedrooms. Parking and wi-fi are provided free of charge. We make an ideal choice as a base for tourists, golfers or the business traveller but please note we do not accommodate Hen/Stag Parties or Night Clubbers, Sorry.